The latest teaser reveals that the new Tata Harrier will come with three driving modes - road mode (normal), rain mode, and gravel or off-road mode. Tata Motors has released yet another teaser for the upcoming Tata Harrier, and this time around, the carmaker has revealed that the new SUV will come with multiple driving modes. 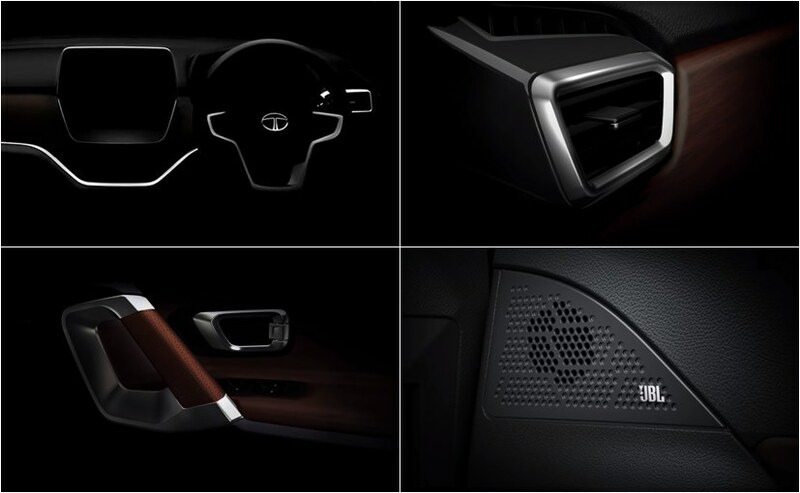 The teaser shows a dial system located on the centre console of the SUV, finished in piano black and chrome bezels. 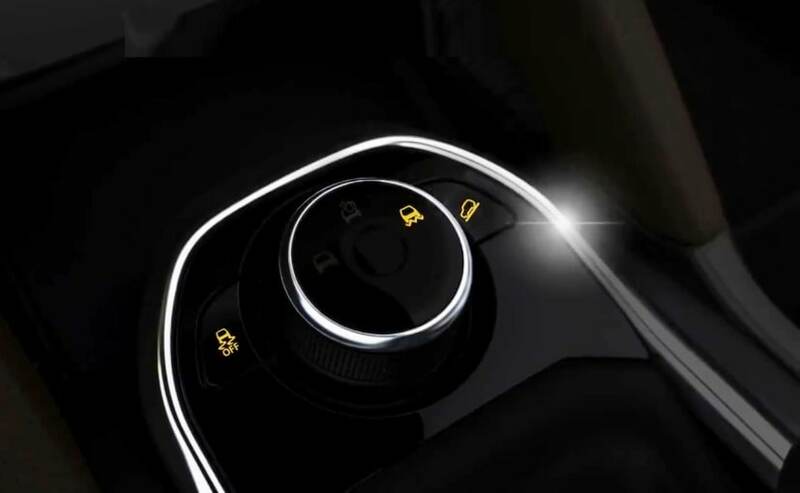 The dial shows that the new Tata Harrier will come with three driving modes - road mode (normal), rain mode, and gravel or off-road mode. Furthermore, the SUV will also get switchable traction control, and hill descent control, among others. Now, this is not the first time that Tata Motors has come out with a teaser for its upcoming Harrier SUV. In fact, after the carmaker officially released the exterior of the new Harrier, Tata has released several teasers, giving us small glimpses of the cabin of the SUV. Based on the information revealed so far, it's clear that the cabin of the new Tata Harrier will remain pretty much similar to the concept version we saw at the Auto Expo. Other details about the new Harrier that have been revealed through teasers include - a sound system from JBL, silver door handles with leather wrapped grips, trapezoidal aircon vents with silver bezels and more. The Harrier will get a floating 8.8-inch touchscreen infotainment system similar to that of the concept and a dual-tone finish in grey and brown on the dashboard. Features will include - navigation, Bluetooth telephone, reverse camera display, MirrorLink, Android Auto, Apple CarPlay and more. Bookings for the Tata Harrier are already underway, and the new SUV is expected to be launched in India in January 2019. 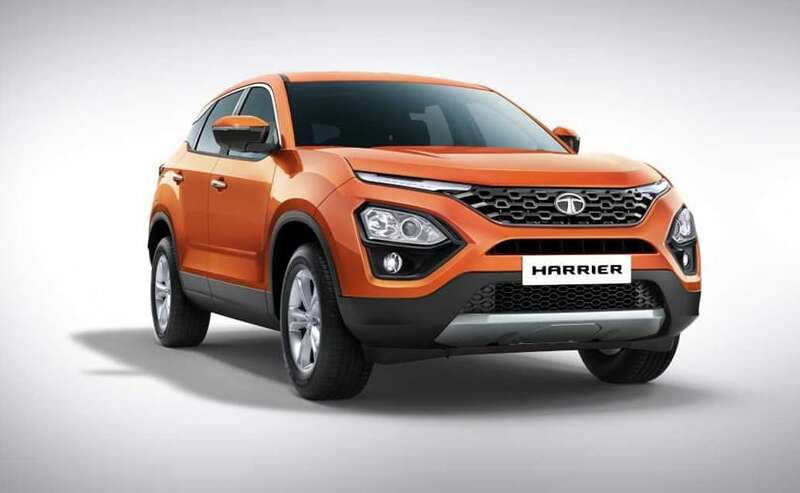 Based on the company's new OMEGARC platform, the Tata Harrier will possibly be the most premium offering from the home-grown automaker. The SUV will come powered by a Fiat-sourced 2.0-litre diesel engine and will be offered in both manual and automatic options.